As I traveled to Houston to interview for the NASA astronaut program, I was incredibly nervous. I had dreamed of becoming an astronaut since I was a little girl, sleeping in the roll-away bed on the back porch of my Grandmother’s house in Spencer, Oklahoma. Pamela McCauley-Bell is a public speaker, entrepreneur, author, and tenured Professor in the Department of Industrial Engineering and Management Systems at the University of Central Florida. Research interests: human factors in disaster management, evaluation and development of artificial intelligence models using fuzzy set theory, human factors model development, human factors in chemical and biological weapon development and the human impact in information security; education, empowerment, leadership, and women in STEM. "True Diversity: A Multiplier in Global STEM Innovation"
Dr. McCauley Bush's return to MIT on April 3, 2014 was hosted jointly by the Center for Engineering Systems Fundamentals; Technology and Policy Program; and Sociotechnical Systems Research Center. Her talk, "True Diversity," addresses the critical importance of holistic diversity in STEM education, leadership, and innovation. She offers implementable strategies for communities, organizations, and individuals to integrate diversity and achieve optimal outcomes for the next generation of global innovators. Pamela McCauley-Bell is a speaker, entrepreneur, author and tenured professor in the Department of Industrial Engineering and Management Systems at the University of Central Florida, where she leads the Human Factors in Disaster Management Research Team. Her research interests include: human factors in disaster management, evaluation and development of artificial intelligence models using fuzzy set theory, human factors model development, human factors in chemical and biological weapon development and the human impact in information security; education, empowerment, leadership, and women in STEM. Dr. McCauley holds Bachelors, Masters, and Doctor of Philosophy degrees in Industrial Engineering from the University of Oklahoma. In 1993, this made her the first African-American female to be granted a PhD in engineering in the state of Oklahoma. The University of Oklahoma later honored Dr. McCauley with a Distinguished Alumni Award. In 2009, she was inducted by the College of Engineering into the Distinguished Graduate Society. Over the past twenty years, she has held various leadership positions. Expertise in biomechanics, human factors and ergonomic design make Dr. McCauley a highly sought Certified Professional Ergonomist (CPE) and expert witness. In 2001, Dr. McCauley was appointed to serve on the Florida Research Consortium by Governor Jeb Bush. She also serves as the Chief Technology Officer (CTO) of Bush Enterprises and is former CEO of Tech Solutions, Inc., a former division of Bush Enterprises. In 2012, the U.S. Fulbright Scholar Specialist Program honored Dr. McCauley for her US-New Zealand Human Engineering and Mobile Technology in High Consequence Emergency Management Research Program. She is the author of over 80 technical papers, book chapters and conference proceedings. In 2006 her research group was awarded the Best Paper Award in Human Factors at the Annual Industrial Engineering Research Conference. Dr. McCauley has served on the editorial board of The Journal of Theoretical Issues in Ergonomics Sciences (TIES), as Associate Editor of the Industrial Engineering Encyclopedia, and referees for IEEE Transactions on Systems, Man and Cybernetics, the International Journal of Industrial Hygienist, the North American Fuzzy Information Processing Conference Proceedings and Kluwer Academic Publishers. She was elected member of the Board of Directors for the National Center for Simulation and, from 1998-2000, served on the National Board of Directors for the Women in Engineering Program Advocates Network (WEPAN). Present board memberships: the Beta Parent Program, the University of Oklahoma Industrial Engineering Advisory Board, and the University of Oklahoma College of Engineering Minority Engineering Advisory Board. Other honors: Engineer of the Year Award, Florida Engineering Society; Engineering Educator of the Year, Society of Women Engineers; Woman of Distinction in Technology Award, Central Florida Girl Scout Council; one Ten Small Business Women of the Year in Central Florida; Millennium Woman of the Year 2001, Millennium Woman Foundation; Saturn/Glamour Magazine “Women Making a Difference Award” 2000; and Outstanding Woman of Color in Technology Award for Educational Leadership; College of Engineering Award for Excellence in Undergraduate Teaching; Teaching Incentive Program Award (TIP). As a public speaker and lecturer, Dr. McCauley travels around the country to give inspirational and informative lectures on women’s leadership issues, technology in America, and motivational topics. 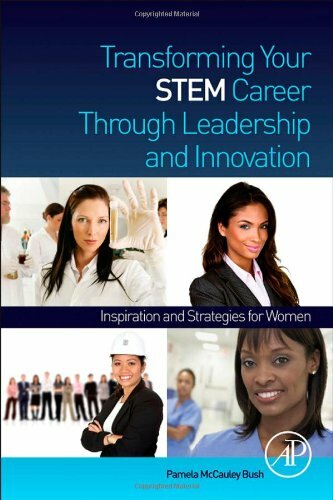 Her most recent book, Transforming Your STEM Career Through Leadership and Innovation, is a practical, research-based approach on the growing need for leadership and innovation in America, particularly among women and STEM professionals. As an MLK Visiting Professor, Dr. McCauley was hosted by the Department of Aeronautics and Astronautics. Examines research-based leadership and innovation principles to make these critically important characteristics both real and attainable. Empowers you to build upon your own strengths and successes to discover and develop leadership and innovation skills. Provides a practical guide that educates, encourages and equips you to pursue leadership and innovation opportunities. A complete introduction to the field, this text discusses scientific principles, research, applications, and emerging trends in technology. 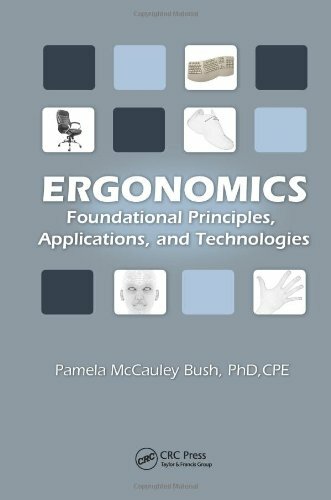 Covering the foundational principles and major topics in physical ergonomics, the book contains the necessary components of a quality ergonomics course, including a sample course syllabus, PowerPoint slides for instructors and students, homework assignments, class projects, instructor’s manual, suggested lab equipment, proposed lab exercises, and a student laboratory manual. 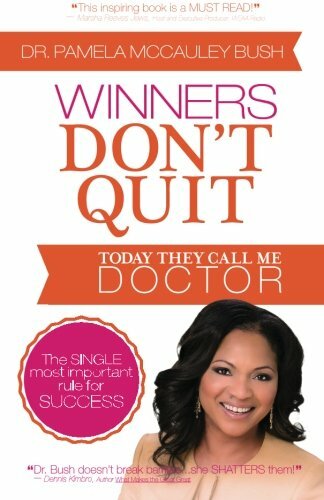 Easily read by middle-school level students and above and tells Dr. McCauley’s personal story of overcoming immense life hurdles to pursue her STEM educational goals. For students and adults, especially those facing adversity. The book is a motivational tool to share with students and as part of a STEM curriculum, highlighting the story of a role model of success in STEM while providing the tools to navigate life’s challenges, in particular those connected to education.